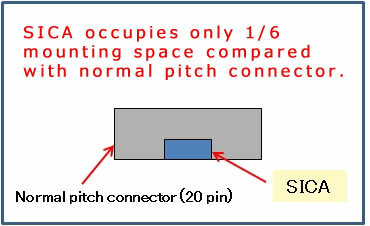 SICA Spiral Type is Conversion Adapter,with which the mounting space can be reduced up to one sixth from 2.54mm normal pitch Connector. 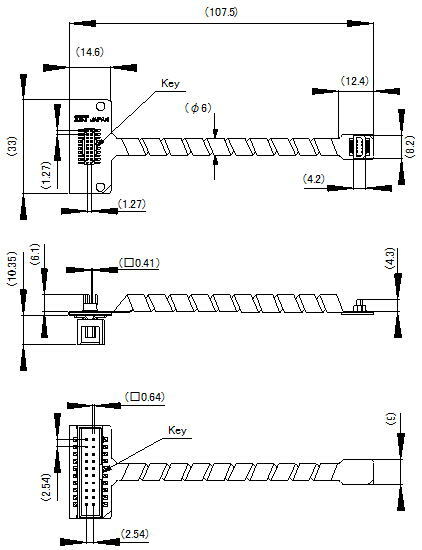 SICA Spiral Type can be mounted on flat cable used for JTAG. Due to spiral shape cable, wiring is flexible at any angle. 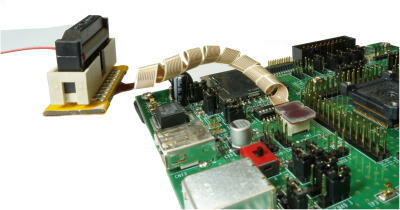 The target board connector isi surface mount type, and the other side of the board is available for mounting other components. 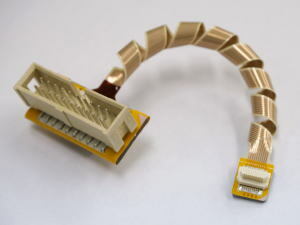 Connector contact life is 500 times insertion and extraction. With reverse insertion protection mechanism.